Barrys News — Posts tagged "tech"
The little Suzuki 4-wheel-drive car has a long history. I owned an original model in the 70s, an LJ50 2-stroke. It was awful driving on the road, fantastic off. In the mid-80s I briefly owned a Sierra, with 1.3 litre 4-stroke engine, and as I recall, if was OK driving on the road, and took it for country trips -- it was even OK on the highway -- but then, my standard was probably quite low, as I had always owned very small cars. Both of those were purchased second-hand. 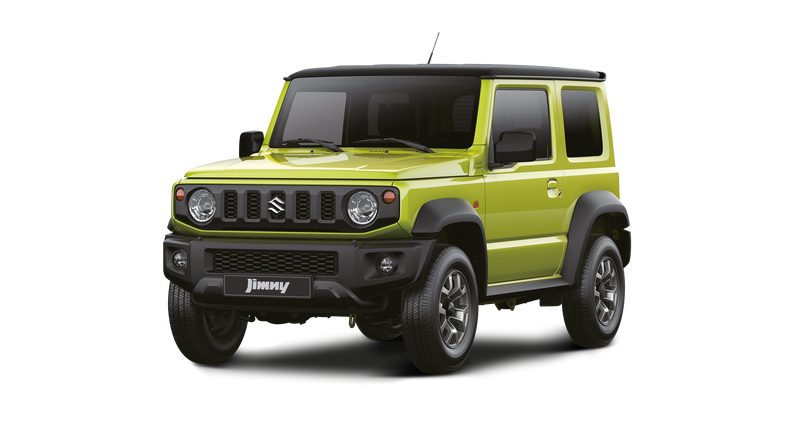 Now it is 2019 and Suzuki are advertising a brand new Jimny. The Jimny models superseded the Sierra models. The advertised price here in Australia (by Suzuki Australia, the importer) is AU$23,990 plus on-road-costs. I enquired with local Suzuki dealers, and they are asking AU$27,990 drive-away price. That is a big jump from AU$23,990. Am I getting cynical in my old age? A cynical person might think that the price hike is cleverly contrived. And then there is an extra AU$500 for any colour other than white. You see, Suzuki announced that very limited numbers would be imported, which resulted in pre-orders, and a growing backlog -- they are now saying, if you order now you will get it in 2020. Meanwhile, the rave reviews and marketing hype continue to build up the expectation. It seems that my cynicism was misplaced. Suzuki was genuinely surprised by the sales of the new model. They have one factory in Japan running 23 hours per day, and are planning to utilize another plant. Mine arrived a few weeks ago, yet it remains unused. I am waiting until they get the LCD screen to work. Apparently, it is a software driver problem, rather than a hardware fault (thank goodness), but the screen is the most essential component, that must be working. Another worry is the immaturity of the NXP iMX 8m SoC. 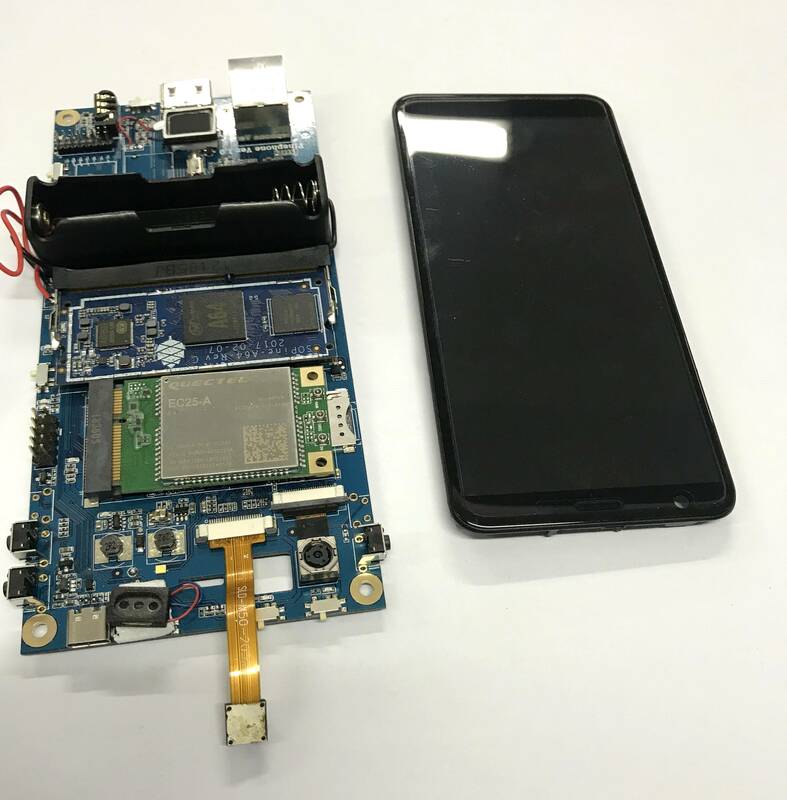 Apparently, there is a fault in the chip as supplied with the dev kit, that prevents it from going into a lower-power mode -- the Purism developers reported this to NXP and it is, apparently, scheduled to be fixed. Even so, it is a concern, as the iMX8 has been "in the pipeline" for a long time -- first announced in 2013. The Purism developers have been doing incredible work on the software side, and hopefully the hardware issues will be resolved in a reasonable time frame. 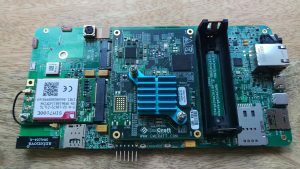 As with the Librem 5, this has a separate modem -- you can see it in the above photo. The SoC's used in phones all have the modem built into the SoC. Purism are using an SoC without modem, as by keeping it separate they can keep a watch on what traffic goes between SoC and modem, for improved security. So, the PinePhone is using the same security-minded approach, and targeting the same market, and will be running the same Linux OS's as the Librem 5. They don't mention it, but no doubt it will also run the OS that the Purism guys are developing. Pine64 are the same guys who make the Rock64, which I own and have just today released EasyOS for. The above blog also announces an improved Rock64, including RTC. Anyway, the Allwinner A64 SoC, how does that stack up for use in a phone, and for Linux compatibility? ...how this pans out in practice, remains to be seen. All very interesting! ...sooo slow, then it failed after a few days. I have to comment about this failure. Most of the Flash sticks that I purchase, including the very cheap ones, last for a very long time. Well, I have only had a couple of failures in several years. I even have a 128MB drive that is still working. That Verbatim drive went into the bin, couldn't be bothered with taking it back. This morning, wen to BigW and bought a SanDisk Ultra 32GB USB3 drive, for AU$14. That's it's regular price, not discounted. Now we're cookin' with gas! I wrote the Russian build of Easy to it, and got a sustained sequential write speed of 28.7MB/sec. Compare that with 3.9MB/sec for the Verbatim drive. It is so much worth it, to spend that little bit more! Today I purchased a Verbatim STORE N GO 16GB USB2 Flash stick, at AU$4.25, from Officeworks. I just wanted something cheap. I write different builds of EasyOS onto Flash sticks, each labeled with masking tape, and keep various older ones. Consequently, sometimes run out of a spare one to write to. Anyway, thought that I would post this as a warning to others: recommend buy a more up-market Flash stick for testing EasyOS!!!! I used the 'easydd' utility to write the EasyOS 0.9.18 image file to the Flash stick, and it recorded a write speed of 3.9MB/sec. This is down at the absolute bottom. I did get around that figure with an Emtec stick. My experience is, cheap Verbatim and Emtec Flash sticks from BigW, Officeworks, etc., are not just low-cost, they are also extremely slow. If you want a fast USB Flash stick, the best that I have purchased is a Sandisk Extreme, giving around 100MB/sec. But you don't have to go that far. Pay a few more dollars than AU$4 and you can easily get around 7 - 20 MB/sec. A cheap USB3 stick will usually give faster performance than a USB2 stick. Anyway, after writing 0.9.18 to the verbatim STORE N GO, booted it. It was not a pleasant experience. A lot of waiting is required. The most alarming event was after clicking the "www" icon on the desktop, a "starting for the first time" window popped up, and then disappeared, and then.... nothing. waited and waited. Began to think that I had done something wrong with this build, then suddenly SeaMonkey window appeared. Using it now. Once underway, it is working OK. This post is a warning. Do not test running Easy, or any Linux, using the cheapest Flash stick in your collection. Use the best one. Only 4 bucks, won't take it back, just throw it in the trash bin. What has prompted this purchase, is that I have redesigned the layout of my projects for easier backup. Up until recently, my projects over the years have been "all over the place". Also, "build" folders are inside the projects -- for example, a compile for a particular architecture, say x86_64, in oe-qky-src, is inside the project folder. same thing for woof, building a release of EasyOS happens inside the woof project folder. This makes the project folders enormous. oe-qky-src for example, a compile may occupy a hundred GB or more. So, I have redesigned all of my projects into one folder, named bk, with all builds taking place outside of bk. Downloaded source packages, however, are kept within bk, as there is no guarantee they will always be available online. The size of bk is 408GB. This includes old projects, such as t2, as well as recent woof and oe-qky-src. The size is convenient, it will fit nicely into that Crucial 500GB SSD. At first, I backed up bk to a 1TB USB3 hard drive ...and it took several hours. Hmmm. I have decided to backup in a crude way, not incremental. No raid either. Just copy the entire master bk folder, or even the entire partition, or even the entire SSD. If I also have an SSD external drive, the internal SSD could be backed up in less than half an hour. That "500GB" is of course not really true. fdisk shows that it is actually 465.8GB, or 500107862016 bytes. If they were using a KB as 1000 bytes, not 1024, then 500107862016/1000 is 500107862KB, and 500107862/1000 is 500107.862MB, and 500107.862/100 is 500.1GB ...yeah, correct. There is also hardware encryption, but only available with certain software on Windows. Anyway, I read somewhere that it is very easy to break. I did think that their timeline was incredibly optimistic, which it has turned out to be, too optimistic, that is. There is a worry here, they are still on a tight timeline, and have shipped the Dev Kits despite not having confirmed that all of its components actually work -- or so I gather, from reading status information that they have emailed to me. If the issues turn out to be software related, and not hardware faults, then OK. A lot of very bright people will be getting these kits, so we can hope that the issues will get resolved. One thing, the touch screen is not yet working. Of course, it is essential for that to be functional, and it is a bit of a concern that they have shipped the kit before getting that working. After the Sentio Superbook debacle, I am wary. But, will stay in a positive frame of mind, as there will be a few hundred very knowledgeable guys playing with this kit. I haven't ordered the phone yet. Actually, my main interest is in the Dev Kit itself, as it has all the components of a smartphone, with development software, so is a great way to become familiar with programming these interfaces. I backed the Kickstarter project on August 3, 2016, and waited, and waited... now it is December 24, 2018, and it still hasn't arrived.